Stowford Caravan Centre is one of the South West’s most successful caravan dealers, supplying new Bailey caravans, Bailey motorhomes and always with a large selection of used caravans for sale in Devon. Our award winning caravan centre is the largest caravan dealership in Devon and is open 7 days a week, all year round. Situated alongside Stowford Farm Meadows touring caravan and camping site we are able to operate a little differently from most caravan dealerships – click here to read more about the Stowford Handover Procedure. Should you need anything when you are here you can visit our well-stocked Caravan Accessory Shop and NCC Approved Workshop. So whether you are looking to buy a brand new Bailey touring caravan or are searching for your ideal pre-owned caravan then Stowford Caravan Centre is the perfect caravan dealership in Devon. 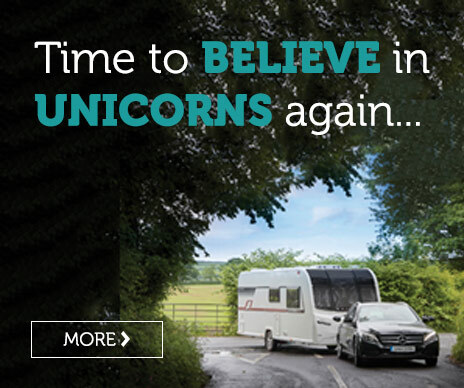 View our selection of brand new caravans here. We also have our very own exclusive dealer special the Bailey Stowford ST which you can read about by clicking the here. Alternatively you can browse our extensive range of pre-owned caravans for sale in Devon. We have recently unveiled the brand new ‘Elddis Stowford’ 8ft twin axle caravan. Based upon the Elddis Avante this exciting new caravan has our own external graphics and unique internal colour scheme. Lots of extras make this caravan an exceptional family caravan, take a look at the virtual tour below or call us on 01271 889339. In addition, our sister website Stowford Campervans gives details of our newly converted campervans. Need to sell your touring caravan or motorhome? Selling your caravan to Stowford could not be easier. To get a quote, visit our new webuyanytouringcaravan.com website and simply fill in our short online form and we will give you a FREE caravan valuation. Stowford Caravan Centre will give you a top price for your caravan and can even arrange to collect your caravan if preferred. The service we received from the first time we looked at the caravan until we took possession of it far exceeded our expectations. The service we received was exceptional. A big thank you for the excellent service that Stowford provided to us when we came to collect our new caravan last weekend. To get to the site and find the caravan had been pitched and the mains power was already in place was superb…. Our whole experience at Stowford was incredible and all new staff we encountered were always polite and very helpful indeed. We found our taster stay very relaxing and a great way to “test” the caravan, which we are delighted with and can’t fault a thing with the van or the service offered by Stowford staff.